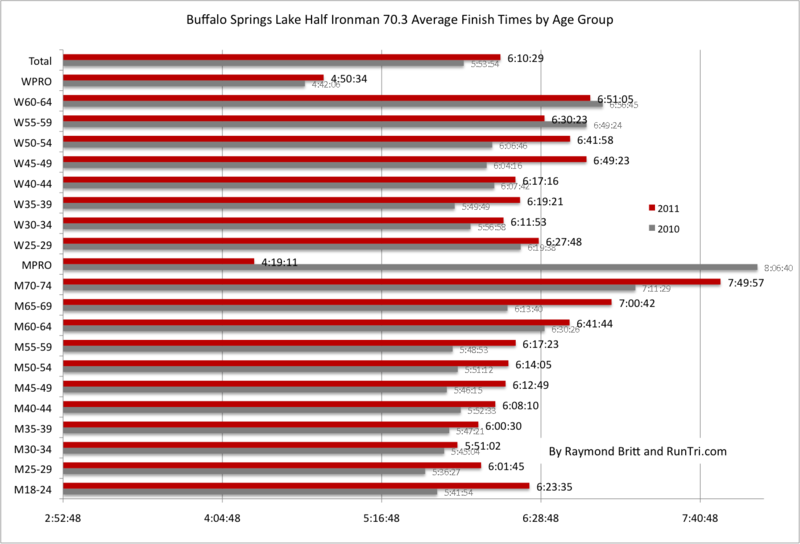 Average finish time for the Buffalo Springs Lake half ironman distance triathlon was 6:10, a full 17 minutes slower than in the previous year. 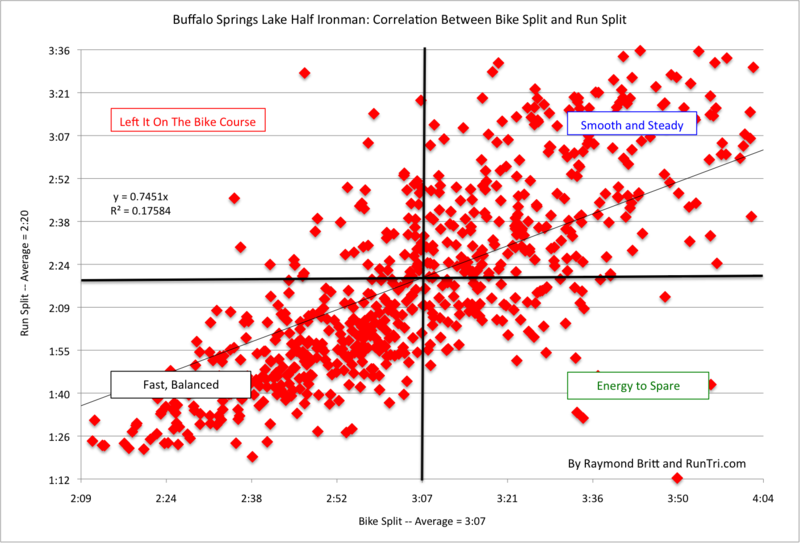 Time was lost in all three disciplines: -2 swim, -5 bike, -10 run. See how average times compared year-to-year by age group, below. Looking at the data from a different perspective, it looks like triathletes largely fell into two groups: 1) many triathletes who turned in a fast bike split ran an equally fast 13.1 miles (lower left quadrant); 2) a group that was much slower overall in both the bike and the run (upper right quadrant). Not many left it on the bike course; not many took it too easy on the bike course, either.